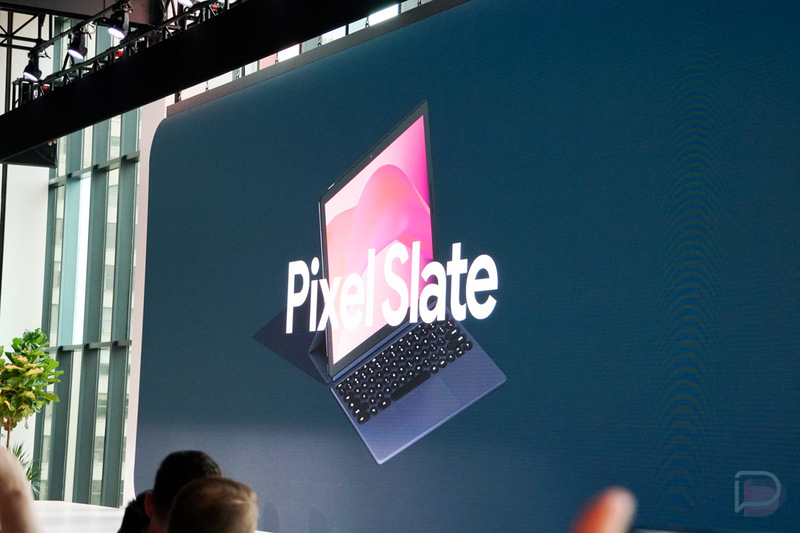 Google unveiled Pixel Slate this morning, its vision for the future of Chrome OS. According to Google, much time was spent on tuning the 293ppi display (exact dimensions unknown at this time), as well as ensuring the Chrome OS UI was reconfigured for a touchscreen experience. For the launcher, Google states it has machine learning built-in, offering app recommendations when you need them most. Both the front and back house 8-megapixel cameras, with the front camera being wide angle and the rear capable of Portrait Mode. Slate is said to be powerful enough to run all of your favorite Android apps from Google Play, as well as development tools, G Suite apps, Adobe Acrobat, and full Linux apps. Essentially, you’ll have a complete desktop experience, but in this portable tablet form, coupled with a Titan Security chip and built-in virus protection for added protection. For hardware, Slate was designed to offer a perfectly balanced center of gravity. In the power button, you will find Slate’s built-in fingerprint reader and for sound, Google has incorporated dual front stereo speakers. To go along with this hardware, Google also announced a backlit folio keyboard designed specifically for it. The keyboard is fully adjustable and requires no pairing to be used with Slate. According to Google, the typing experience is quiet and soft, so no annoying clicking sounds when hammering out your screenplay in the local Starbucks. Google says Pixel Slate is launching later this year, starting $599 in Midnight Blue. 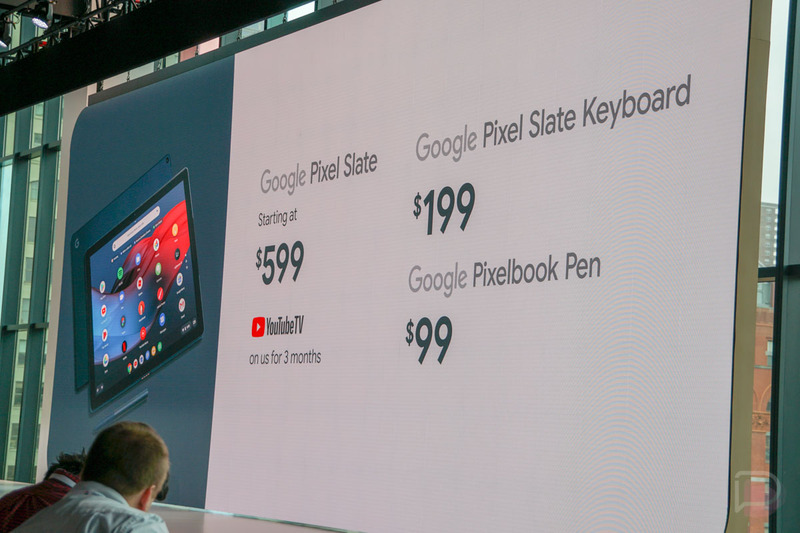 For those who want the keyboard, it will be priced at $199 and the Pixelbook Pen is still $99. For those who order, you’ll get 3 months of YouTube TV for free.